#44,074: G.K. Chésterton: Jane Austen no escribió novelas rosas. G.K. Chésterton: Jane Austen no escribió novelas rosas. Ya en varias ocasiones he escrito sobre Jane Austen (en las etiquetas de abajo aparece lo que he publicado de ella en el blog). Algo había que decir en el aniversario de su muerte (18-jul). Tomo ocasión de la Introducción que escribió Chésterton a la primera edición de "«Love and Friendship» y otros escritos Juveniles de Jane Austen" (aquí el libro completo). En principio, parecería que sus novelas -y las películas y series que se hacen basadas en ellas- habría que colocarlas entre las películas románticas orientadas a adolescentes: el mundo de Jane Austen sería aquel en el que todo prepara la romántica declaración del protagonista y el desmayo de la dama cuando oye esa propuesta. Pero, para quien ha leído las novelas de Austen, esta preconcepción parecería cómica. Elizabeth Bennet, la heroína de «Orgullo y Prejuicio», recibe tres propuestas de matrimonio y en ninguna de esas ocasiones, se desmaya o grita de la emoción mientras aplaude, brinca y grita como chiquilla que ha visto a su artista favorito. Jane Austen comenzó a escribir historias para el entretenimiento familiar y la diversión casera, y si representó novelas rosas o personajes acaramelados fue para ironizar con su inconsistencia y poca seriedad. Si sus personajes ficticios se desmayan de la emoción es precisamente para mostrar lúdicamente a las personas reales, por qué motivos no vale la pena desmayarse; o qué pasa cuando los sentimientos no se armonizan con la razón, la empatía y el carácter. Sus personajes, en general, se mueven en un ambiente donde los antagonistas son una máscara: parecen agudos en el juicio, con emociones adecuadas, con empatía por el resto de personas y felices. Pero son sólo eso: una máscara. En Jane Austen, la virtud es una habilidad para razonar, que permite emociones intensas pero ajustadas, que capacita para entablar relaciones sociales valiosas y construir una vida familiar feliz. Esa madurez humana hace que sus personajes no se «desmayen». La genialidad de Jane Austen la constituye su parquedad, un escueto realismo con el que describe -o mejor dicho, no describe- las emociones que valen de verdad: por que son razonables, por que son auténticas y por que definen a los personajes, ellas han de aparecer sin cebarse en su propio éxito. Esa precaria descripción de emociones las rescata de lo superficial e insulso y prepara las más agudas ironías contra las emociones de chiquilla inmadura. La expresión grotesca y fogosa de los sentimientos es para Jane Austen, un recurso irónico con el que describe precisamente cómo no han de ser esas emociones: anárquicas, irrazonables, insolidarias, efímeras, ruidosas. Por ejemplo, Marianne Dashwood, Lydia Bennet y el conjunto de sus obras juveniles. Por último, la Introducción escrita por Chésterton (vista aquí). and even masterful admirers; and she certainly did not faint. It would be nearer the truth to say that they did. But in any case it may be amusing to those who are thus amused, and perhaps even instructive to those who thus need to be instructed, to know that the earliest work of Jane Austen, here published for the first time, might be called a satire on the fable of the fainting lady. "Beware of fainting fits ... though at times they may be refreshing and agreeable yet believe me they will in the end, if too often repeated and at improper seasons, prove destructive to your Constitution." Such were the words of the expiring Sophia to the afflicted Laura; and there are modern critics capable of adducing THEM as a proof that all society was in a swoon in the first decade of the nineteenth century. But in truth it is the whole point of this little skit that the swoon of sensibility is not satirized because it was a fact, even in the sense of a fashion, but satirized solely because it was fiction. Laura and Sophia are made ludicrously unlike life by being made to faint as real ladies do not faint. Those ingenious moderns, who say that the real ladies did faint, are actually being taken in by Laura and Sophia, and believing them against Jane Austen. They are believing, not the people of the period but the most nonsensical novels of the period, which even the people of the period who read them did not believe. They have swallowed all the solemnities of the Mysteries of Udolpho, and never even seen the joke of Northanger Abbey. For if these JUVENILIA of Jane Austen anticipate especially any of her after works, they certainly anticipate the satiric side of Northanger Abbey. Of their considerable significance on that side something may be said presently; but it will be well to preface it by a word about the works themselves as items of literary history. Everyone knows that the novelist left an unfinished fragment, since published under the name of "The Watsons," and a finished story called "Lady Susan," in letters, which she had herself apparently decided not to publish. These preferences are all prejudices, in the sense of matters of unmanageable taste; but I confess I think it a strange historical accident that things so comparatively dull as "Lady Susan" should have been printed already, while things so comparatively lively as "Love and Freindship" should never have been printed until now. It is at least a curiosity of literature that such curiosities of literature should have been almost accidentally concealed. Doubtless it was very rightly felt that we may go much too far in the way of emptying the wastepaper basket of a genius on the head of the public; and that there is a sense in which the wastepaper basket is as sacred as the grave. But without arrogating to myself any more right in the matter than anybody has to his own taste, I hope I may be allowed to say that I for one would have willingly left "Lady Susan" in the wastepaper basket, if I could have pieced together "Love and Freindship" for a private scrap-book; a thing to laugh over again and again as one laughs over the great burlesques of Peacock or Max Beerbohm. Jane Austen left everything she possessed to her sister Cassandra, including these and other manuscripts; and the second volume of them, containing these, was left by Cassandra to her brother, Admiral Sir Francis Austen. He gave it to his daughter Fanny, who left it in turn to her brother Edward, who was the Rector of Barfrestone in Kent, and the father of Mrs. Sanders, to whose wise decision we owe the publication of these first fancies of her great-aunt; whom it might be misleading here to call her great great-aunt. Everyone will judge for himself; but I myself think she added something intrinsically important to literature and to literary history; and that there are cartloads of printed matter, regularly recognized and printed with the works of all great authors, which are far less characteristic and far less significant than these few nursery jests. For "Love and Freindship," with some similar passages in the accompanying fragments, is really a rattling burlesque; something much better than what the ladies of the time called an agreeable rattle. It is one of those things that can be the more readily read with enjoyment through being written with enjoyment; in other words, it is all the better for being juvenile in the sense of being joyful. She is said; to have written these things at the age of seventeen, evidently in much the same spirit in which people conduct a family magazine; for the medallions included in the manuscript were the work of her sister Cassandra. The whole thing is full of the sort of high spirits that are always higher in private than in public; as people laugh louder in the house than in the street. Many of her admirers would not expect, perhaps many of her admirers would not admire, the sort of fun to be found in the letter of the young lady "whose feelings were too strong for her judgment," and who remarks incidentally "I murdered my father at a very early period of my life, I have since murdered my mother, and I am now going to murder my sister." Personally I think it admirable; not the conduct, but the confession. But there is much more than hilarity in the humor, even at this stage of its growth. There is almost everywhere a certain neatness in the nonsense. There is not a little of the true Austen irony. "The noble Youth informed us that his name was Lindsay... for particular reasons, however, I shall conceal it under that of Talbot." Did anyone really desire that to disappear into the waste-paper basket? "She was nothing more than a mere good-tempered, civil and obliging young woman; as such we could scarcely dislike her...she was only an object of contempt." Is not that something like the first faint line in the figure of Fanny Price? When a loud knocking is heard on the door of the Rustic Cot by the Uske, the heroine's father enquires the nature of the noise, and by cautious steps of inference they are enabled to define it as somebody outside striking the door. "'Yes (exclaimed I) I cannot help thinking it must be somebody who knocks for admittance.'" "That is another point, (replied he) we must not pretend to determine on what motive the person may knock...tho'that some one DOES rap at the door I am partly convinced." In the aggravating leisure and lucidity of that reply, is there not the foreshadowing of another and more famous father; and do we not hear for a moment, in the rustic cottage by the Uske, the unmistakable voice of Mr. Bennett? But there is a larger and critical reason for taking pleasure in the gaiety of these various travesties and trifles. Mr. Austen Leigh seems to have thought them not sufficiently serious for the reputation of his great relative; but greatness is not made up of serious things, in the sense of solemn things. The reason here, however, is as serious as even he or anyone else could desire; for it concerns the fundamental quality of one of the finest talents in letters. A very real psychological interest, almost amounting to a psychological mystery, attaches to any early work of Jane Austen. And for that one reason, among others, which has hardly been sufficiently emphasized. Great as she was, nobody was likely to maintain that she was a poet. But she was a marked example of what is said of the poet; she was born, not made. As compared with her, indeed, some of the poets really were made. Many men who had the air of setting the world on fire have left at least a reasonable discussion about what set them on fire. Men like Coleridge or Carlyle had certainly kindled their first torches from the flambeaux of equally fantastic German mystics or Platonic speculators; they had gone through furnaces of culture where even less creative people might have been inflamed to creation. 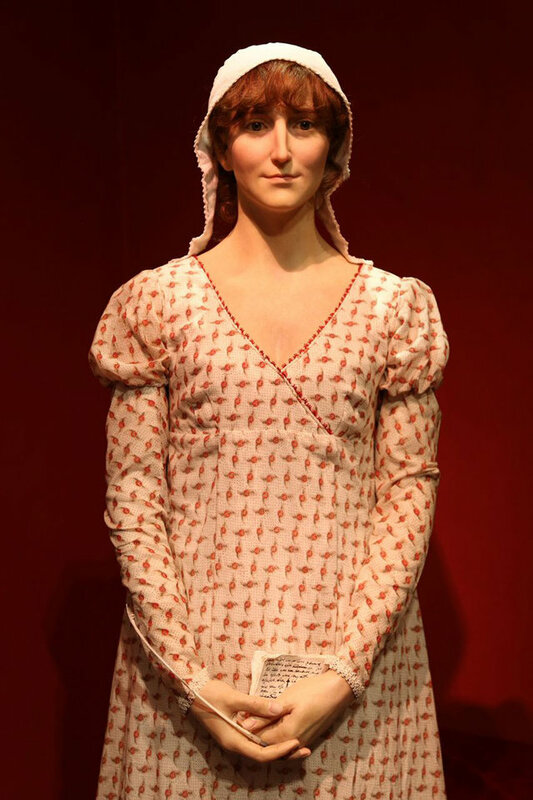 Jane Austen was not inflamed or inspired or even moved to be a genius; she simply was a genius. Her fire, what there was of it, began with herself; like the fire of the first man who rubbed two dry sticks together. Some would say that they were very dry sticks which she rubbed together. It is certain that she by her own artistic talent made interesting what thousands of superficially similar people would have made dull. There was nothing in her circumstances, or even in her materials, that seems obviously meant for the making of such an artist. It might seem a very wild use of the wrong word to say that Jane Austen was elemental. It might even seem even a little wanton to insist that she was original. Yet this objection would come from the critic not really considering what is meant by an element or an origin. Perhaps it might be as well expressed in what is really meant by an individual. Her ability is an absolute; it cannot be analyzed into influences. She had been compared to Shakespeare; and in this sense she really does recall the joke about the man who said he could write like Shakespeare if he had the mind. In this case we seem to see a thousand spinsters sitting at a thousand tea-tables; and they could all have written "Emma" if they had had the mind. There is therefore, in considering even her crudest early experiments, the interest of looking at a mind and not at a mirror. She may not be conscious of being herself; but she is not, like so many more cultivated imitators, conscious of being somebody else. The force, at its first and feeblest, is coming from within and not merely from without. This interest, which belongs to her as an individual with a superior instinct for the intelligent criticism of life, is the first of the reasons that justify a study of her juvenile works; it is an interest in the psychology of the artistic vocation. I will not say of the artistic temperament; for nobody ever had less of the tiresome thing commonly so described than Jane Austen. But while this alone would be a reason for finding out how her work began, it becomes yet more relevant when we have found out how it did begin. This is something more than the discovery of a document; it is the discovery of an inspiration. And that inspiration was the inspiration of Gargantua and of Pickwick; it was the gigantic inspiration of laughter. If it seemed odd to call her elemental, it may seem equally odd to call her exuberant. These pages betray her secret; which is that she was naturally exuberant. And her power came, as all power comes, from the control and direction of exuberance. But there is the presence and pressure of that vitality behind her thousand trivialities; she could have been extravagant if she liked. She was the very reverse of a starched or a starved spinster; she could have been a buffoon like the Wife of Bath if she chose. This is what gives an infallible force to her irony. This is what gives a stunning weight to her understatements. At the back of this artist also, counted as passionless, there was passion; but her original passion was a sort of joyous scorn and a fighting spirit against all that she regarded as morbid and lax and poisonously silly. The weapons she forged were so finely finished that we might never have known this, but for these glimpses of the crude furnace from which they came. Finally there are two additional facts involved which I will leave the modern critics and correspondents in newspapers to ponder and explain at their leisure. One is that this realist, in rebuking the romantics, is very much concerned with rebuking them for the very thing for which revolutionary sentiment has so much admired them; as for their glorification of ingratitude to parents and their easy assumption that the old are always wrong. "No!" says the noble Youth in "Love and Freindship," "never shall it be said that I obliged my father!" And the other is that there is not a shadow of indication anywhere that this independent intellect and laughing spirit was other than contented with a narrow domestic routine, in which she wrote a story as domestic as a diary in the intervals of pies and puddings, without so much as looking out of the window to notice the French Revolution. Muchísimas gracias por tanta atención a P&P. Me ha sido de grandísimo interés.